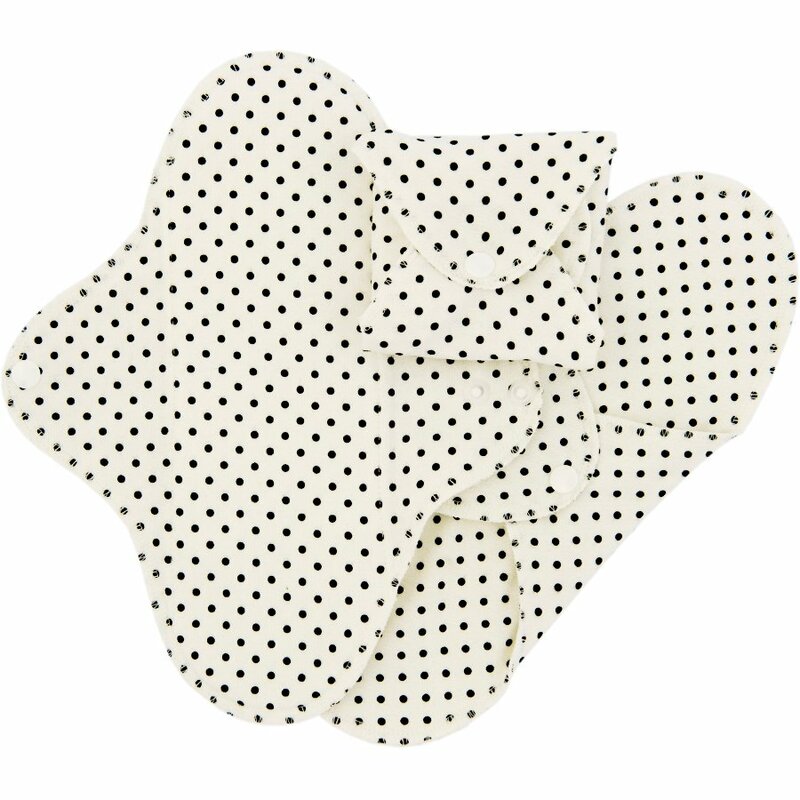 Made from super soft and eco-friendly organic cotton, these black dot reusable sanitary pads are an environmentally conscious option over regular disposable pads – and they’ll save you money too. The washable cloth sanitary pads from ImseVimse are designed to be used over and over again, lasting years with proper care. They contain one layer of polyurethane laminated polyester to protect against leakages, and the fabric is Oeko-Tex Standard 100 certified. The wings feature a popper fastening to keep them in place through the day. The ImseVimse Black Dot Reusable Slim Sanitary Pads - Regular - Pack of 3 product ethics are indicated below. To learn more about these product ethics and to see related products, follow the links below. Great item, really comfortable and they wash really well. 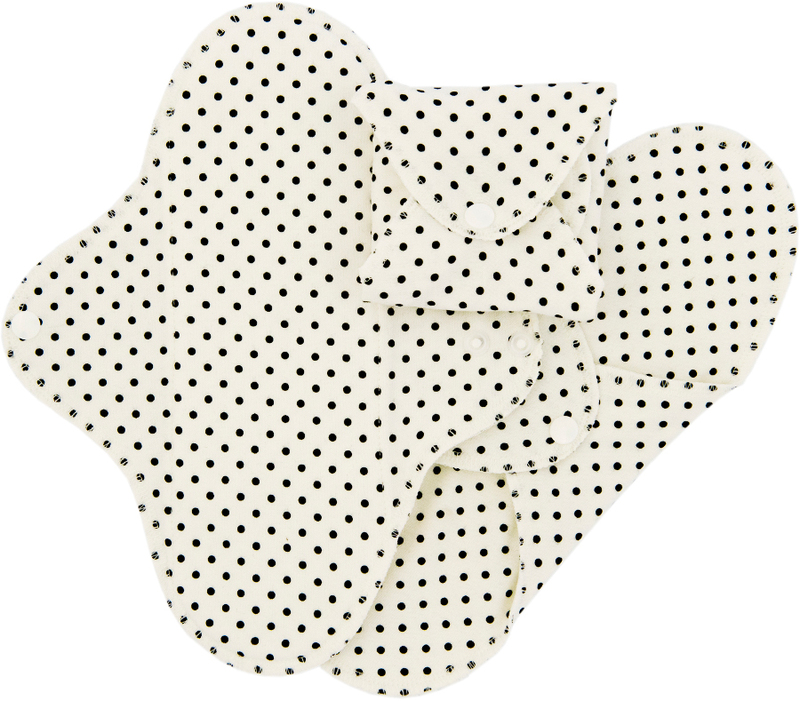 There are currently no questions to display about ImseVimse Black Dot Reusable Slim Sanitary Pads - Regular - Pack of 3.